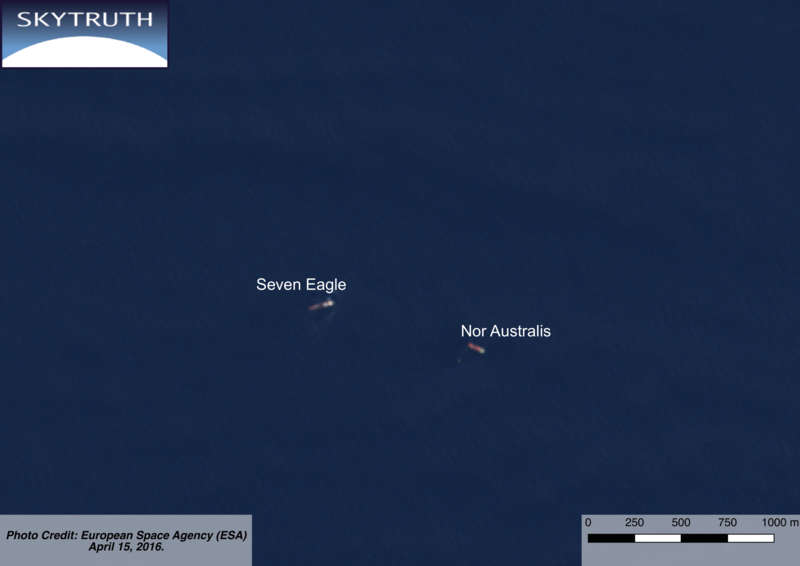 Last week the Guardian reported on an oil spill on Australia’s North West Shelf that was detected in April 2016 but had not been made public until a performance report was recently issued by Australia’s National Offshore Petroleum Safety and Environmental Management Authority (NOPSEMA). Despite the spill being estimated to have gone on for two months and released 10,500 liters of oil the Guardian reports that NOPSEMA declined to reveal exactly where the spill had occurred or which company was responsible. We had a look at operations currently in the area and identified a vessel which fits the description in the article. This is the FPSO OKHA operated by Woodside Energy. Our identification has now been confirmed as Woodside has admitted responsibility and the OKHA has been named as operating at the site. 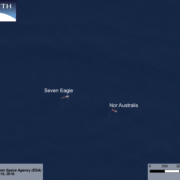 Though this is being reported as the largest offshore leak in Australian waters last year Woodside states that the spill had no lasting impact on the environment. 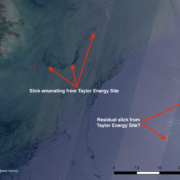 On April 15, 2016 two likely response vessels appeared at the leak site. To the west is the dive support vessel Seven Eagle. About 900 meters to the east is the Nor Australis, an offshore supply vessel equipped with a ROV for underwater surveying. 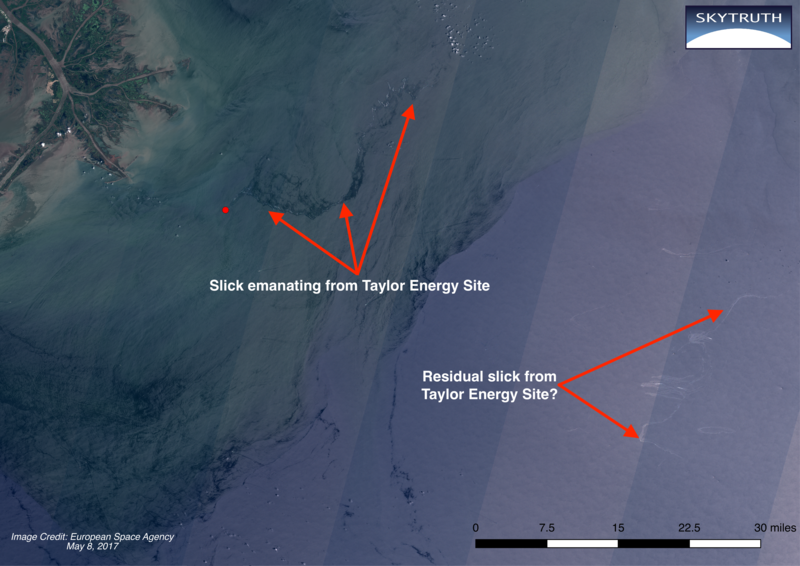 We have examined imagery of the site from April 15th of last year, that is shortly before the OKHA returned to this location and around the time the leak was apparently first detected. Two response vessels appear at the leak site. The Nor Australis is an offshore supply ship equipped with a ROV which probably detected the leak. 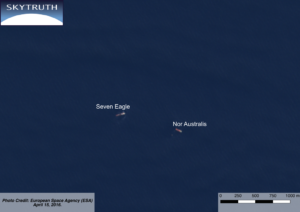 The dive support vessel Seven Eagle is a short distance to the west. We don’t see any signs of a slick in this image or in several others we checked. However it is still of concern that the report of an incident like this would be kept from the public for more than a year. The Gulf Oil Spill Tracker is now enjoying a well-deserved retirement. SkyTruth created the Gulf Oil Spill Tracker in 2010, with support from Surfrider Foundation and Ocean Conservancy. It was launched to help Gulf-area residents fill the information vacuum — and correct some of the misinformation — spawned by the BP-controlled spill response process during the BP / Deepwater Horizon oil spill disaster. 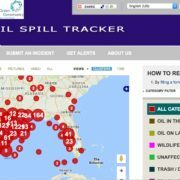 Interested citizens and organizations tracking the impact of the spill on the Gulf coastline could submit oil pollution reports with text and images, and include links to news articles and video. 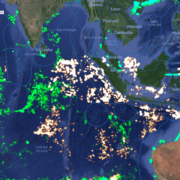 Our Oil Spill Tracker tool (built on a crowd-sharing platform called Ushahidi) displayed the reports on an interactive map where anyone could view them, and sent out alerts to people who had signed up to be notified about them. Over 400 citizen reports were uploaded during and in the aftermath of the spill. 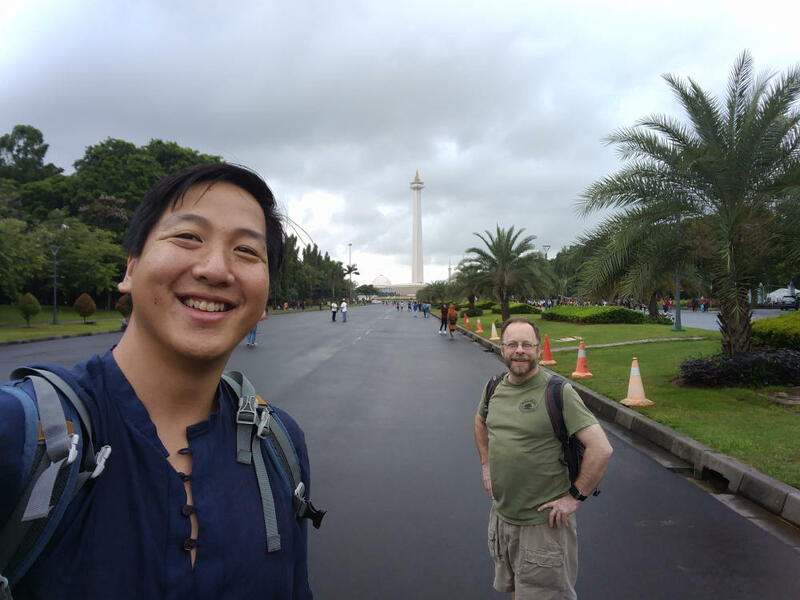 Users included concerned citizens around the world, government officials and staff from the local to national level, and members of the media. One of our diligent users, Susan Forsyth, told us the citizen-submitted reports of continued oil spill impacts on the beaches of Florida played an important role in keeping BP and the US Coast Guard from prematurely declaring victory and suspending their cleanup operations there. Florida state officials were thankful for that. 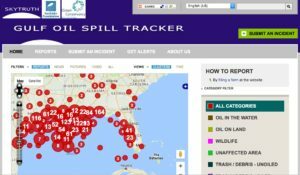 A reporting mechanism specifically for the BP / Deepwater Horizon spill is no longer needed so we finally decided to retire Gulf Oil Spill Tracker as of April 24, 2017. The Louisiana Bucket Brigade tracks pollution in the Gulf region with their iWitness Pollution Map, a similar tool that SkyTruth helped them launch, so head over to their site if you want to continue submitting or receiving reports. And of course we continue to operate SkyTruth Alerts, which publishes official reports of oil and hazardous materials spills nationwide that are collected by the National Response Center. During Phase 1 of our FrackFinder WV project, we focused on identifying and delineating wellpads (drilling sites) and drilling-related fluid impoundments across West Virginia that have been built to accommodate the recent boom in drilling and fracking to produce natural gas from the Marcellus and Utica Shales. This data has been provided to our partners, researchers at Downstream Strategies and the University of California – Berkeley, who are studying the human health impacts of living near modern drilling and fracking operations. We thought we’d assess the direct environmental impact by measuring the change in the landscape resulting from all this construction activity. 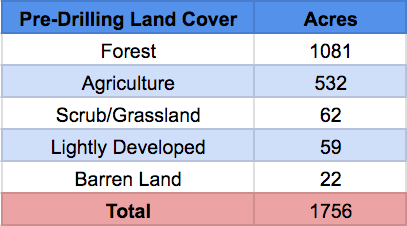 Here’s the breakdown of how much land was converted to industrial use between 2007 and 2014 as a result of fracking, categorized by the type of land cover that existed in the area before the wellpads and impoundments were built. The land cover data is from the National Land Cover Database, which is derived from Landsat imagery. Detected barren land is likely drilling predating 2006. Lightly developed is a mixture of development, roadways, and residential green space. It appears that the NLCD is registering this land conversion, as seen in the three images below which show the same area displayed in the slider. A wellpad first appeared on this site in 2011, which was when the NLCD was last updated using moderate-resolution satellite imagery, and it is identifying the drilling site as “barren” land. It is worth noting that of the 1,081 acres of forest cleared for drilling infrastructure, 27.8 were cleared in the Monongahela National Forest. 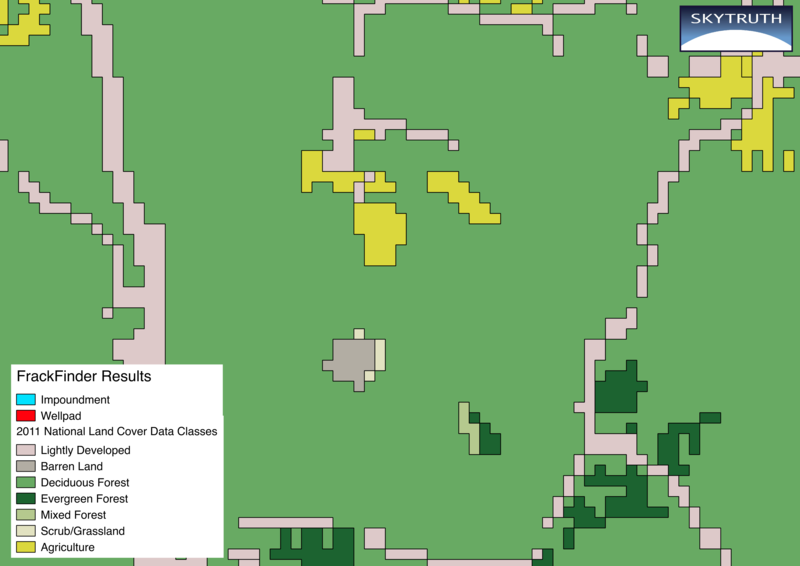 2006 National Land Cover Data, near Wilsontown, WV. 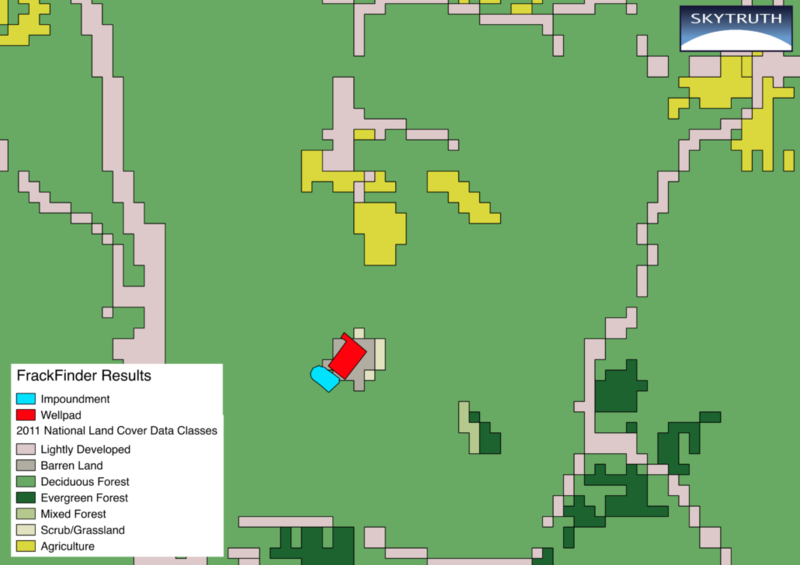 The 2011 update of the National Land Cover Dataset, detected a fracking wellpad in the center of this image and registered it as Barren Land. See the next image when the outline of the wellpad is displayed. The 2011 National Land Cover Data, with results from our West Virginia FrackFinder project displayed. 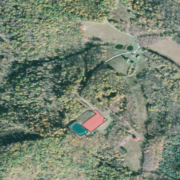 We find that 1,756 acres of land in West Virginia was converted to wellpads (averaging 2.3 acres in size) and impoundments (averaging 0.8 acres in size) from 2007 to 2014. That is an area 1/4 the size of Morgantown, WV and is 7 times larger than the town of Shepherdstown (where SkyTruth is based). This is a very conservative starting point for measuring the true drilling “footprint” because it doesn’t capture the total land area disturbed to construct the pads and facilitate drilling: tree clearing, site excavation and grading to accommodate heavy equipment and provide drainage control, access roads and utility / pipeline corridors, and associated facilities like compressor stations and storage facilities. Later this year we may ask you to help us delineate this larger halo of direct land disturbance related to drilling, which we speculate could be 2-3 times larger than the footprint of the wellpads and impoundments alone. In the meantime we are gearing up for the launch of Phase 2 of FrackFinder WV. During this stage of the project, citizen volunteers (that’s you!) 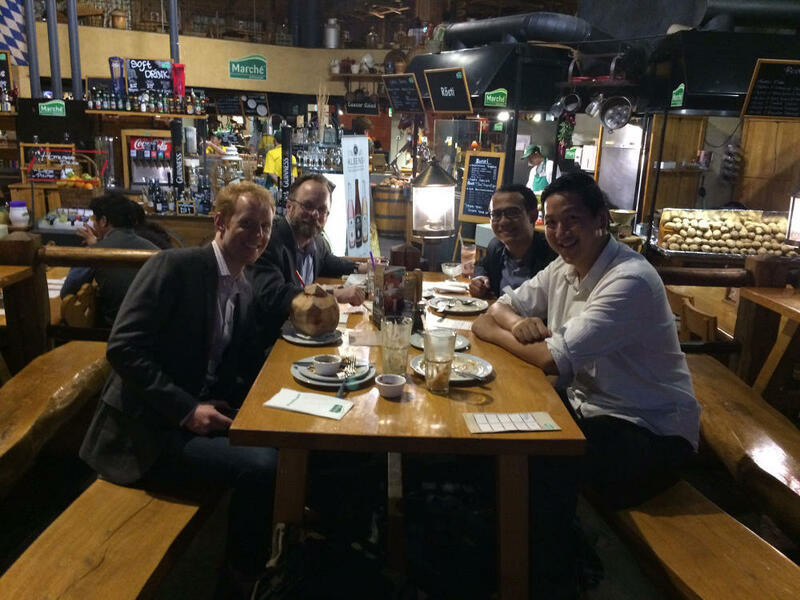 will assist SkyTruth in creating a dataset of homes which lie within 1/2 mile of the wellpads we identified in Phase 1, data that our partners think will be very useful for public health research. So be sure to keep an eye out for project updates and calls for volunteers! If you sign up on our Volunteer page, you’ll get an email from us when the next FrackFinder project is up and running.